Between 2500 and 2000 BC, many Indo-Europeans migrated all over Europe and Asia. Some went to Europe and became the Romans and the Greeks, some settled in Turkey and became the Hittites. They are referred to by historians as the Aryan people. These migrations came from a central spot – Armenia under the Black Sea. Armenia is the exact location that Noah’s Ark landed. The Bible records that it landed near Mt. Ararat which is located in Turkey near Armenia. One large group migrated from the Black Sea area and split into two groups – one going east and the other going west. Some of them stopped in Iran, while others continued south-east to Pakistan and India. About 1500 BC, India were invaded by Indo-European people. These people came from the area between the Black Sea and the Caspian Sea. The slow migration did not arrive in northern India until about 1500 BC. In India, the Indo-Europeans are usually called the Aryans. The historical account is recorded in Indian history in their holy book called the Vesta. The Vesta called these foreigners the Aryans. Who are the Aryan people? According to the Ency Britannica, the Aryans that went to India were from the Mitanni Empire. Mitanni, Indo-Iranian empire centred in northern Mesopotamia that flourished from about 1500 to about 1360 bc. Mitanni was one of several kingdoms and small states (another being Hurri) founded by the Indo-Iranians in Mesopotamia and Syria. Although originally these Indo-Iranians were members of Aryan tribes that later settled in India, they apparently broke off from the main tribes on the way and migrated to Mesopotamia instead. 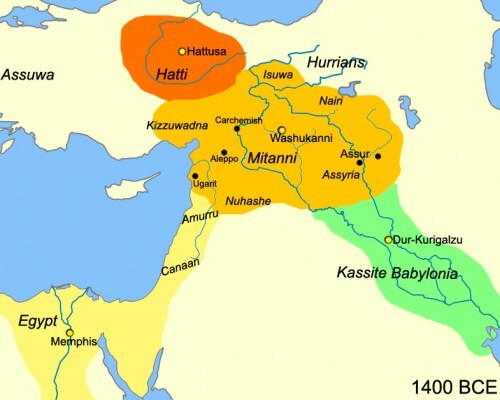 The Mitanni Kingdom is composed of several tribes — descendants of Esau and Ishmael from Reuel and the descendants of Ketaurch’s children.They became known as the Aryan people. They are referred to in the Bible as the Midianites. Historians do not known the origins of the nations today because they refuse to use the Bible to help them identify the ancient people and tribes. In this next section we are going to identify the Mitanni tribes and states using the Bible. Between 1500-1400 BC, The Mitanni Empire covered parts of Turkey, Iran and Iraq (the old land of Babylon). Esau and Jacob lived around 1850 BC. We are told that about 1500 BC, the Indo European people probably the tribe of Mitanni began to invaded India. The entire account of these Aryan foreigners is recording in India history in the book of the Vesta. These people came from the area between the Black Sea and the Caspian sea. They split into two groups. One migrated East and the other West. Others migrated south-east instead. Some of them stopped in Iran, while others continued south-east to Pakistan and India. This migration was very slow. It took probably two hundred for these herdmen to migration into India. Upon their arrived, they became the ruling class of India and ruled for many years. There is no record of any battles to take control. They were a Nomadic people. They were tent dwellers and herdmen. They were not farmers however they learned farming from the local people. The Mitanni people were known for raising and selling horses and they are also tent dwellers. Some of the finest horse breeds today come out of that region. Like the Mitanni, the Aryans worshipped more than one god. At that time, the people of India worshipped only one god. The people of India accepted the Aryans form of worship and incorporated it into their worship resulting in the development of the Hindu religion. After sometime the Aryans mixed with the native people and formed the Indo-Iranian people. These are the nationalities we see today in Central Asia and the Middle East. They are a result of the mixing between the India and Aryan people. They also formed the Indo European languages – these languages were different from European languages. Some of the examples of the European languages are Semitic and Hebrew. The Mitanni Empire was primarily make up of the Midianites, Ketarah’s childrenby Abraham. That is also where they got their name. Abraham married Keturah after Sarah died. Esau and Ishmael’s descendants are also linked with the Mitanni Kingdom. 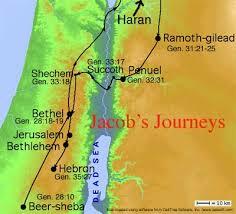 Jacob and Esau lived around 1850 B.C. Esau married two Hittite women and this displeased his parents. When he discovered that his parents were displeased, he took a third wife, Bathemath, the daughter of Ishmael and a woman of faith. Bashemath [the same person as Mahalath of Gen. 28:9] Ishmael’s daughter, sister of Nebajoth. Esau had five sons.each constituting a major tribe of the House of Esau. Eliphaz, the firstborn of Esau and Adah, had a son named Amalek by his concubine. Bashemath bare Reuel which means “friend of God”. Jethro (also called Hodad), the father-in-law of Moses, came from family line of Reuel. Reuel was the son of Esau and the grandson of Ishmael. He was the descendant of Jethro. Reuel apparently married into the family line of the Midianites. H7461 re‛û’êl reh-oo-ale’ From the same as H7466 and H410; friend of God; Reuel, the name of Moses’ father in law, also of an Edomite and an Israelite: – Raguel, Reuel. Exo_3:1 Now Moses kept the flock of Jethro his father in law, the priest of Midian: and he led the flock to the backside of the desert, and came to the mountain of God, even to Horeb. In summary both Ishmael descendants and Esau’s descendants were relatives to the Midianites who were the Mitanni in history. Reoul was related to both Esau and Ishmael. His family line married into the Midianites which are the sons of Keturah, the wife of Abraham. In addition Ishmaelites and Midianites stayed together throughout their early history. Here is another reference to show tthat Esau descendants mixed into the Midianite Tribe. According to Historicans these Indo Europeans began to migrate into central Asia and eventually wined up in India. According to Ency Britannia, the Indo Europeans were probably the tribes of the kingdom of Mitanni or the Midianites. But there is more proof. Some of sons of Esau were actual Kings in Persia. Their names are found on the Persian King list. Husham is listed in the Persia Kings List as the 3rd King of Persia. He was called Husham in Hebrew and Hushang in Persian. His son Alphidun(sometimes called Feridoun) had two sons, one of whom was named Tur. Tur, grandson of Husham, Founded Turkestan. Teman is Hebrew meaning south and right hand. Which is the way you determine where East is. From this point historians can trace these Turkic Temani peoples. In the eleventh century many of these Turks left Central Asia and Turkestan and moved to Asia Minor or Turkey. The next question to ask is Who lived around the Black Sea. Armenia, Georgia and Turkey are the countries today that live in the area around the Black Sea. According to Historians, this is the area the ancient Indo Europeans came from. Also it was the location of Noah’s Ark. Noah lived in that area before after the famous flood. 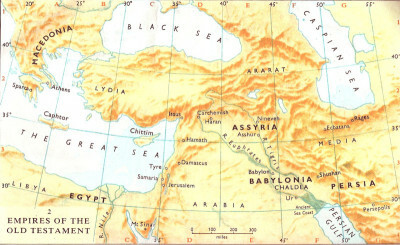 According two sources, some of Esau descendants lived in the area of Armenia. Targum Yehonatan (Aramaic Translation): “IN THE LAND OF UZ is Armenia”.Nachmanides (Jewish Historian) agreed he was in Armenia. Midrash: DAUGHTER OF EDOM is Caesaria, IN THE LAND OF UZ is Persia. Persiia was not very far from Armenia at that time. Esau did not live in the land of Edom originally however he did move there later. He first lived in the land of Jordan. Many Bible scholars get the city of Seir mixed up with the Mount Seir. Notice the path Jacob used to return back to Canann. He arranged to meet his brother in Seir. (Notice Gen 33:14) He went to Penuel and cross the river there he met Esau at Seir. Then he continued his journey to Shechem. Read account below. Seir must be located between Penuel and Shechem. Gen 32:31 And as he(Jacob) passed over Penuel the sun rose upon him, and he halted upon his thigh. From H6437 and H410; face of God; Penuel or Peniel, a place East of Jordan; also (as Penuel) the name of two Israelites: – Peniel, Penuel. Esau descendants can also be found outside the Mideast. Edom as linked with Gaza in the south and as associated with Tyre in the north. He lived in both Gaza and Tyre. The Phoenicians apparently called themselves Canaanites. The Greeks called them “Phoiniki” which is usually explained to mean “Red People” after the dye they produced BUT it could just as well be a translation of “Edomite”. It is worth remembering that Edom in Hebrew means “Red” (Genesis 25:30). In the book of Jasher, we read that great battles arose between the children of Chittim and Edom. Edom was taken captive and mixed with the people on the island of Chittim which is Cyprus today. “and Edom became subject to the children of Chittim. And the children of Chittim ruled over Edom, and Edom became under the hand of the children of Chittim and became one kingdom from that day. And from that day they could no more lift up their heads, and their kingdom became one with the children of Chittim” (p.251). Also Kittim plays a role in end time prophecy. Kittim, a plural form (gen. 10:4) is the name of a branch of the descendants of Javan, the “son” of Japheth. Balaam foretold (num. 24:24) “that ships shall come from the coast of Chittim, and afflict Eber.” Kittim is the ancient name for the island of Cyprus. But Num 24:24 uses the plural form of the word meaning more than one island. This is explaining that the coast area in the Mediterrean Sea would conquer Eber who was ancient Spain and Asshur which was the Hapsburg Dynasty. Josephus, that ‘all islands, and the greatest part of the sea-coast, are called Chethim. This is talking about the Byzantine Empire. It control the Mediterrean Sea. Notice how the Byzanine surround the coast area of the Mediterrean Sea. Num 24:24. is definitely talking about the Byzantine Empire. Daniel also prophesied (11:30) that the ships of Chittim would come against the king of the north. it probably denotes cyprus, whose ancient capital was called kition by the greeks. the references elsewhere made to chittim (isa. 23:1, 12; jer. 2:10; ezek. 27:6) are to be explained on the ground that while the name originally designated the phoenicians only. Esau had a root of Bitterness against his brother Jacob. It has lead to war between Jacob;s seed and Esau’s seed throughout the centures. Heb 12:15 Guard against turning back from the grace of God. Let no one become like a bitter plant that grows up and causes many troubles with its poison. Heb 12:16 Let no one become immoral or unspiritual like Esau, who for a single meal sold his rights as the older son. Heb 12:17 Afterward, you know, he wanted to receive his father’s blessing; but he was turned back, because he could not find any way to change what he had done, even though in tears he looked for it. There has been continuous war between Esau and Jacob throughout the centuries. Esau’s seed became the Byzantium Empire in History. Parthia, a Israelite country, went to war with Rome 13 times. The Germanic Tribes fought the Roman Empire for their entire history. Many of the Axis Powers were the old countries from the Byzantine Empire. The Modern countries that made up the Byzantine Empire are Algeria, Tunisia, Libya, Spain and Italy. Egypt, Syria, Jordan, Israel, Lebanon and Iraq, Romania, Bulgaria, Serbia, Bosnia-Herzegovina, Croatia, Macedonia and almost all other Balkan countries. Axis powers were Germany, Italy, Japan, Hungary, Romania, Bulgaria, Greece, Iraq, Iran, Southeast Asia, Finland. Please notice it is the same countries. We keep going to war with the same people and countries!!!! At the end of the age, Jacob will again go to war against Esau. Esau’s seed is considered the Gentile nations or the uncircumcised. Notice below they will come to power against the circumcised which is Jacob’s seed. Notice it will be a battle between the CIRCUMCISED AND THE UNCIRCUMISED. At the end time the Gentiles will rise again and become the dominate power. Jer 9:26 Egypt, and Judah, and Edom, and the children of Ammon, and Moab, and all that are in the utmost corners, that dwell in the wilderness: for all these nations are uncircumcised, and all the house of Israel are uncircumcised in the heart. Psa 83:8 Assur also is joined with them: they have holpen the children of Lot. Selah. I agree that were Chaldeans but the scriptures say they live in Assyrian not Babylon. thank you so much for listening. Sorry I am so late getting back to you!